As the world shifts towards a more health-focussed understanding of fun, we have noticed that there has been an increase in challenge-hungry adult charterers, eager to master the latest inventions and share their experiences with instagram followers capturing that best action picture in a luxurious location. 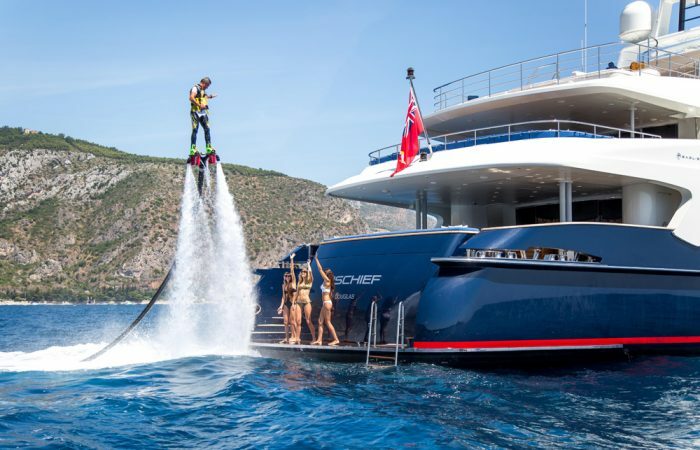 The rise in social media use has undoubtedly played a part in the popularity of certain water toys and the growth of companies such as Superyacht Tenders and Toys (SYTT) who specialise in the outfitting of the latest and greatest, with Instagram and Facebook serving as the perfect visual outlets for creating targeted campaigns. A perfect example is the adrenaline-fuelled Flyboard, which propels the user up to 15m in the air and has amassed 246,889 #flyboard posts on Instagram. Everyone wants to see it and by association this can only be good for all companies involved. A desire to document the charter experience has been welcomed and accommodated for by many owners who have begun investing heavily in professional video equipment on board, including drones and GoPros, often having imagery available on a large screen on board afterwards. 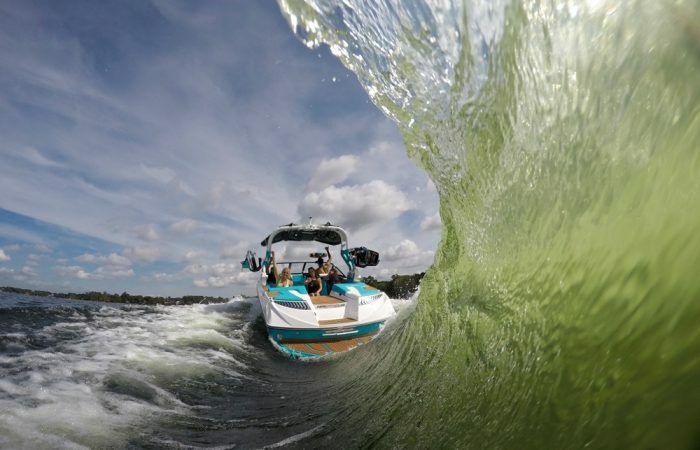 Many tenders are now well set up to record the action such as on a Ski Nautique which can film the best moments when wakeboarding or surfing, with intelligent systems that only record when the boat is at speed and the rider on the wave. 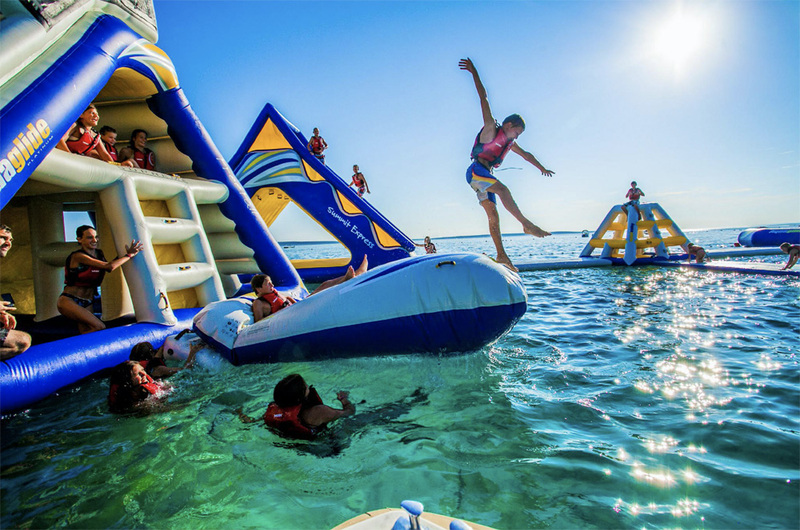 Items such as the inflatable waterpark are increasingly popular with charterers offering the opportunity to create a bespoke outdoor workout incorporating climbing walls, trampolines, and paddle board yoga. Careful selling is required to ensure that the waterpark is within the means of the deckhands though! Many owners want more and more and it is simply not possible for crew to get them all out in time. Some of the recent advances by companies such as FunAir with their RapidFlate valves have aided quick setup times. Taking up limited space on board, and working for 30m or 100m+ yachts, inflatable toys are a fantastic and growing way for owners to add value to the guest experience and increase a yachts’ popularity in a saturated charter market. 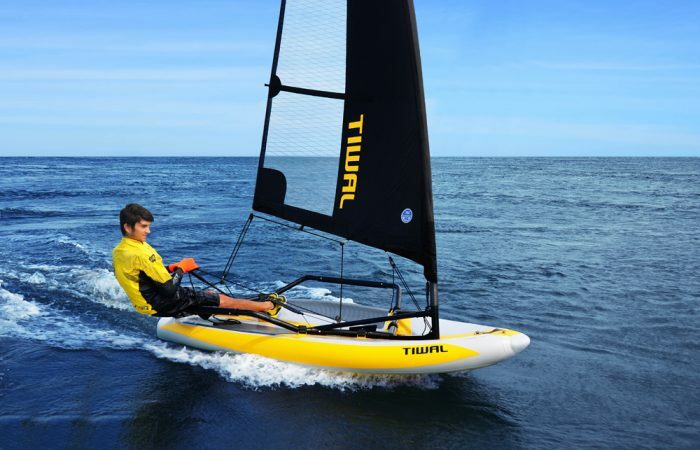 Endorsed by Bear Grylls, the inflatable TIWAL sailboat assembles in less than 20 minutes and offers charterers the chance to try their hand at developing a new passion for sailing and having a fun workout at the same time. The MiniCat is also a popular inflatable sailing boat where kids and adults alike can get an exhilarating experience. The inflatable Schiller Bike has also risen to fame amongst the growing community of avid cyclists worldwide and is a regular seller at SYTT. Without doubt a good selection of toys on board can be complemented a crew that are able to help the charterer get the most out of the novel experience. Fitting the right toys to the charter guests skills is important, and thus yachts often have qualified instructors on board. SYTT always offer tuition on toys supplied to ensure crew are best placed to assist clients. A charter experience should be designed to provide a haven whereby guests are able to fully de-compress and relax with family and friends, in whichever way they reasonably see fit. In most circumstances, the water toys on board will positively influence which yacht a client chooses to charter, specifically where children are involved or where there are thrill seeking adults. Let’s ensure that yachts have the best recommended toys and ensure everyone has positive experiences. Also let’s not forget that he who has the most toys wins! Or more importantly gets the most charters…..
TENDERS, TENDERS, TENDERS. THERE IS NO GETTING AWAY FROM THEM ON A SUPERYACHT, WHETHER THEY ARE TO BE USED FOR WATERSPORTS, GETTING TO AND FROM THE SHORE, EXPLORATION OR CREW DUTIES. WE CAN ALL AGREE THEY FORM A FUNDAMENTAL PART OF YACHTING. WITH THE EVER-WIDER RANGE OF MANUFACTURERS, TYPES AND DESIGNS THEY ARE AN EVER-TRENDY PART OF YACHTING AS THE TENDER SIDE OF THE BUSINESS HAS BECOME BETTER MARKETED. Increasingly we are finding that shipyards and designers are more aware of them and they are getting designed better into the yachts storage and operations, giving owners, guests and crew a better experience. 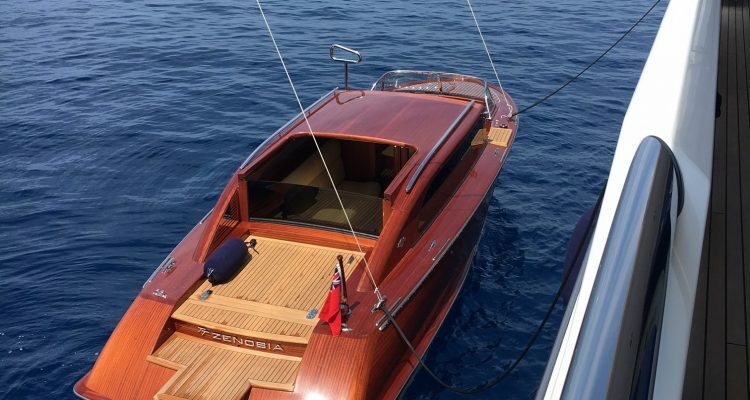 Many designers have preferred brands to work with based off past history and design in various manufacturers boats from the outset, which then sets the box dimensions (height, beam, length) and also crane weights installed by the shipyard. At SYTT we are regularly involved with new concept yachts and assisting in getting practical garages designed which fit the owners’ brief. Key considerations being ease of operations, cleaning, maintenance, chocking and of course proposing suitable boats for purpose ensuring boats are not compromised by height for sea keeping and deep V hulls, length for vessels being dry and fast, and beam for loading capacity of guests and equipment. As ever, the earlier tenders can be designed into garages during the build the better, and this goes without saying and avoids tenders having to be purchased to compromise. However, it is not just sizes of tender garages which are important, but also the cranes, chocks and other seemingly small details. Cranes and the lifting points on tenders are more often than not the single most important aspect of designing a new yachts garage arrangement affecting owners’ choice in the tenders they can purchase. This is however something rarely yacht captains and owners are involved in as it is planned at the very early stages of the build. With this in mind it makes a huge difference whether the tender has a single point lift, twin lifting points or the more traditional 3 or 4-point lifting. Avoiding spreader bars is fundamental to smooth yacht operations, something we are regularly having to fight with manufacturers against to find ways around when proposed. The lifting setup not only affects the stability and launching conditions which are possible to launch and recover tenders, but also impacts significant aspects of the tender design such as engine and drive choice, limousine roof length, seating and more. In tender builds lifting points need to be aligned to bulkheads and the load spread according to the boats centre of gravity. These then need to be rated and certified typically to 2.2 times the safe working load for a static lift, to 6 or even 8 times the load for carrying passengers. When designers are working up a general arrangement they need to decide how the tenders will be launched and recovered. At this time in the design there is a focus into the layout of the space to meet their requirements, and in particular the tender storage. Whether this be a drive in tender dock, beach club, roller launching up the transom, side garages with davits aft, mid-ships or on the bow, winching onto deck or simply lifting on deck with davits. All of these need to be considered according to the types of tenders and the conditions and locations they will be used. A system for one yacht launching tenders in Antarctica in 40 knot winds is very different than a typical Med yacht. Recently we have been involved in a yacht who’s brief was to be able to drive a tender onto the yacht whilst at 10 knots. Transom rollers can work very well here. Regardless of the criteria of when and how the boats will be launched and recovered the correct answer is almost always the easiest. If boats can quickly be attached to a crane or driven onto rollers whilst the vessel is moving, then this invariably represents the safest option for the crew operating them and the vessel avoiding trapped fingers in large shackles and getting caught on lines from cranes. Prolonged periods when people are manhandling and shackling on lifting slings represent an increased risk. For many shipyards to try and design their tender launching system in line with what would be required for SOLAS tenders (Safety of Life at Sea Rescue boats) is positive, as it stipulates that boats need to be launched and recovered quickly at sea. There are a number of options here, which are largely driven by the size of the yacht and budget. Whilst every manufacturer will tell you they make the best, there are some key differences in the manufacture which are often price/quality based and worth knowing. Light in weight, easily inflated and easy to store. There are a huge variety of sizes possible from manufacturers such as AERE, Megafend, Fendequip and Henshaw. All can be custom sized with fender socks either in cotton or neoprene in a colour of choice. Key differences between manufacturers is the use of PVC or Hypalon material. PVC typically offers fully hot air welded seams, is lighter to handle, has a neater finish and has less chance of leaking. Hypalon is a heavier material that is commonly used on inflatable RIB tubes. It has high strength and abraision qualities. Key factors as well as the material the fenders are constructed from are the use of stainless rotating swivels used to attach lines to the yachts allowing them to twist and also be able to be used end to end, or on their sides, and any internal wire frame for strengthening for larger vessels over 100m. Used by yachts for fendering on the bathing platform, transom areas and crew side doors on areas where tenders are either moored up to for long periods of time or they are repeatedly coming alongside. These high impact areas need sleek, good looking, hardwearing fendering that blends into the yachts design and having floating sausage fenders is simply not appropriate. These fenders can either be inflatable, built in Drop Stitch fabric (the same as used on inflatable paddleboards) which is very rigid when inflated (up to 15 P.S.I) or a rigid foam core fender. Choosing whether to have a rigid fender or inflatable comes down to how much storage the yacht has, how hardwearing an area it is used on and desired looks and feel. Many yachts go for rigid fenders as guests can step on them and feel secure without them moving and they are typically looked at as the highest quality option. Rigid transom fenders are typically built in manageable sections around 1m long with a foam core which provides some fendering ability, then wrapped in neoprene and hypalon. Good transom fenders transform yacht operations allowing secure coming alongside and boarding for guests, as well as the ability to berth tenders alongside the vessel when not in use reducing tender damage. A budget of around €900 per metre section is realistic for a quality application. These are rigid fenders, often called Pillar Fenders which mount on the yachts transom, so a tender can berth alongside. Due to the additional height they provide over the low-lying foam core transom fenders these are a better way of securing a tender, as it stops it riding over the transom in a swell. On these the rubbing strake of a tender will rise up and down the pillar. They are look good and highly functional. When made in carbon they are easy to handle, light - as low as 12kg per piece and are removable so only deployed when a yacht is at anchor. Options are available in aluminium, carbon, with lights, handles, folding, tilting with tender loads and are easily handled and moved. 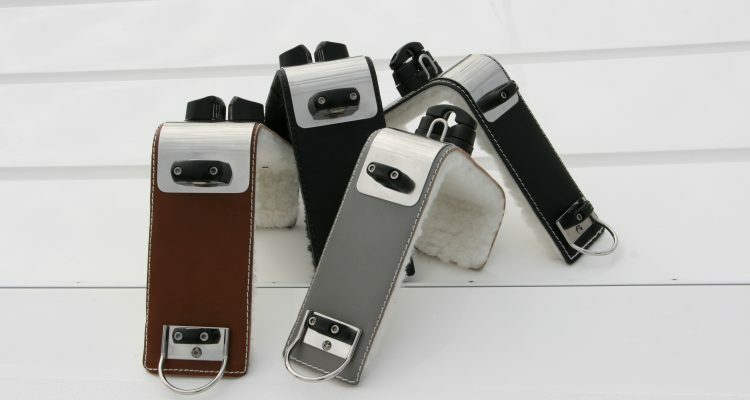 Having provided these for many yachts over a number of years there was a growing feeling that no-one was serving the yachts needs in terms of functionality and price point. So, SYTT now design and build their own lightweight carbon range which suits all tender sizes. A budget of €20,000 for a 70m yacht would be a good starting point for a good quality option. When tenders are not required rather than leaving them alongside Tender Mooring Whips are used, and more rarely fixed tender booms. Tender Whips are generally seen as the best option and are a very inexpensive piece of equipment (approx. €2000 installed). Stainless flush mounts can be installed on swim platforms, deck, or rub rails, depending on the preferred location of the tender. The poles come in two pieces so can be easily stored on board. The flush bases eliminate tripping or catching of lines on board. Breast and spring lines are to be used to hold the tender in place and stop them surging forward or aft. Whips are available for tenders of all sizes, currently up to 22,000 kg! Stainless fittings, high quality lines and cleats, along with painted finishes are all recommended. Due to the low cost of these it is generally recommended to go for a higher specification whip, which can take larger loads than expected. Last item to mention is fender hooks, which are on almost every large yacht to hold fenders, or whips hanging over the side of the vessel. At around €1000 per hook these are well worth a mention. These are typically custom handcrafted to securely fit the rail or bulwark profile of the superyacht and hardware configured to its needs. The core structure for these fender hooks and special purpose hooks is 316 stainless-steel. The coverings are stitched together for a richly detailed look. Hardware choices include thread less fairleads, custom D-rings, box rings, cam cleats, custom sized thread less spreader bars and much more Bespoke special hooks such as rod or Tender Mooring Whip holders also available. 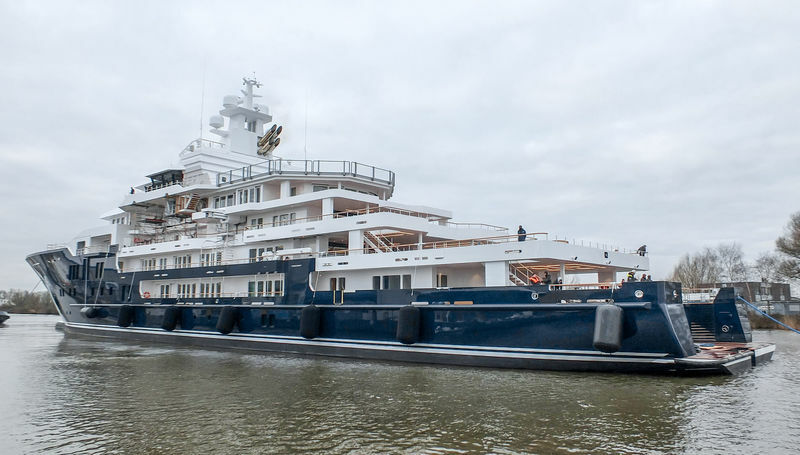 Superyacht Tenders and Toys is outfitting the world’s largest yachts with deck and fender equipment plus Tender storage solutions, spreader bars, jet-ski and toy lifting equipment and the latest in carbon davits. They can offer any advice and guidance into the most suitable equipment for new build and existing yachts. The team fly, ride, dive and drive everything they sell.